A major glass manufacturer called ACES with a conundrum: One of their large glass cutting tables was acting erratically. 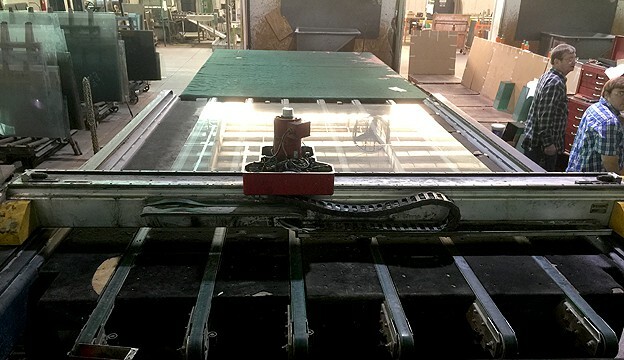 This piece of equipment is used to trim 10′ x 10′ sheets of glass down into smaller pieces for use in the automotive and construction industries. ACES sent a Control Systems Investigator (CSI) out to the site, stat. 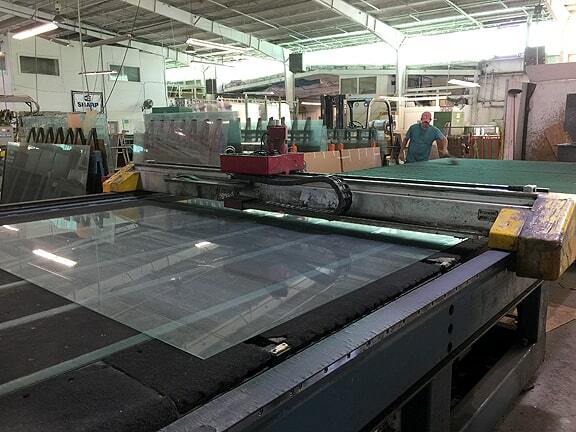 The glass cutting machine is a CNC-driven machine, which uses “home” as a reference point for all measurements. This glass cutting table was one of three owned by the company. Manufactured in the 1980s they were controlled by a custom-built 386 processor which is now out of production. Unlike a modern PLC, the 386 was composed of motherboards, serial boards and parallel boards plugged into a rack. It wasn’t possible for the CSI to look into the programming to discern what was causing the problem. The table was also automated by Computer Numerical Control (CNC) which allows the operator to program in the measurements and the number of pieces to cut out of the 10′ x 10′ sheet. A CNC machine always starts at the same place, called “home,” and as it travels the encoder sends data back to the computer to report its position in real time. But for some reason this processor couldn’t find home, which meant it couldn’t cut a piece of glass at all, let alone to the proper measurements. The CNC calculates precise measurements, and instructs components to trim 10’ x 10′ sheets down to size, for use in the automotive and construction industries. Since the CSI knew what the issue was, but wasn’t able to dive into the programming to see what was causing it, he took a more experimental approach, starting with tracing out and inspecting the wires, and fixing a few broken ones — which had no effect. The cutting head continued to spin wildly without finding home. His next course of action was to begin replacing suspicious parts. Some of the parts for this legacy machine haven’t been manufactured in 10 years, and the client had no spares on site. As a quick troubleshooting measure the ACES CSI borrowed parts from one of the other tables, replacing the tachometer and encoder, with no improvement. After more investigation he discovered a corrupted Poscon board and a sketchy servo board and replaced both of them, but the cutting head was still wandering and homeless. The CSI also located a faulty proximity switch. He checked the voltage referred to in the wiring diagram and finally backed the prox switch away from the trip dog. When he powered the unit back up, the carriage now thought it was home in any position. Finally the CSI swapped out the encoder amplifier board from one of the other glass cutters and rebooted the controller. The cutting head traveled immediately to the home position with no spinning, and proceeded to cut a complete piece of production glass flawlessly. The encoder amplifier board boosts the signal so the data about the encoder’s actual position can travel through all the wires back to the computer. Through ACES’ many contacts some of these boards can be repaired with an 18-month factory warranty, even if they’re no longer available for purchase. However, in this case the CSI was able to order new encoder boards for all three machines, and now they’re sharp and accurate, trimming glass to the correct measure and always able to find their way home. If you have finicky, temperamental equipment, whether old or new, give ACES a call for a free estimate. Our trained and experienced troubleshooters will have them working smooth as glass in no time.